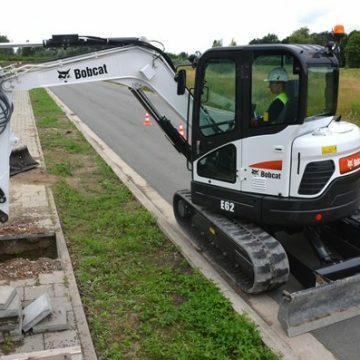 The Bobcat E62 is a zero tail swing design compact excavator with an operating weight around 6.2 tonne. 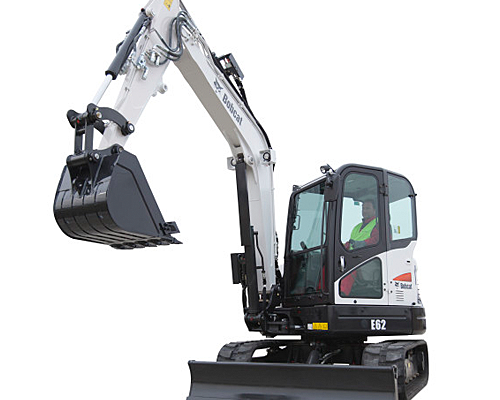 This model features the same cab used on the Bobcat E85, offering great comfort in terms of operator environment, leg room and visibility. 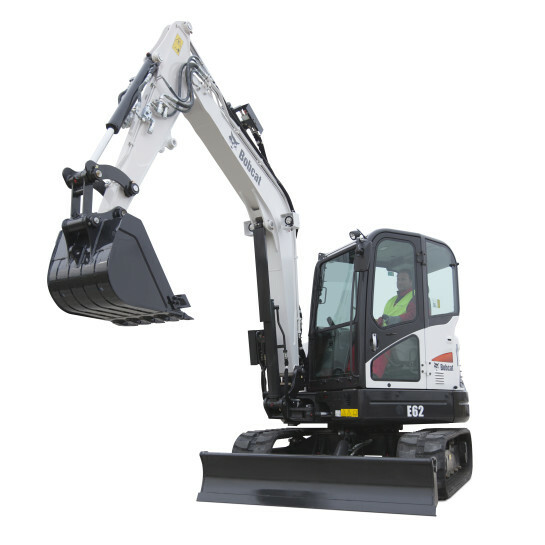 To accommodate the customer requirements this model offers the optional steel tracks, long arm including additional counterweight, blade cylinder load holding valve and the third auxiliary hydraulic lines. 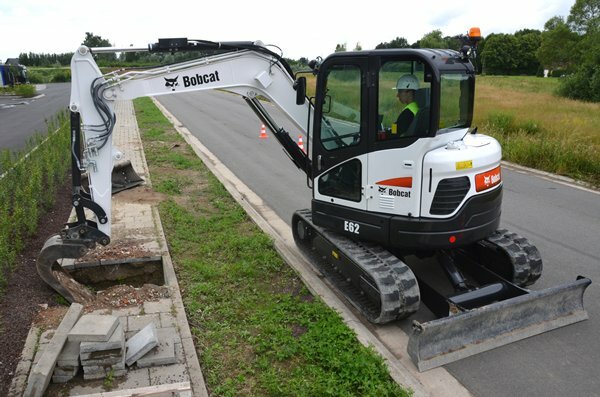 The Bobcat E62 is a reduced tail swing design compact excavator with an operating weight around 6.2 tonne. 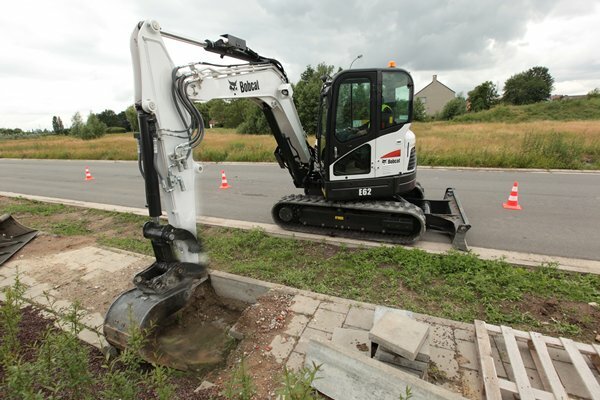 This model is equipped with the similar cab used on the 8 tonne compact excavator offering great comfort in terms of operator environment, leg room, air conditioning and visibility. The operating system is located in front of the operator to provide all the required information within sight. 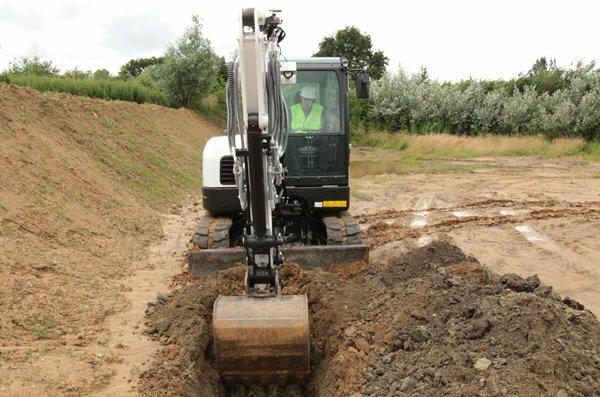 The 5.7″ LCD colour panel provides all kinds of additional functionalities, such as auxiliary hydraulic settings, maintenance diagnostics and keyless capabilities. 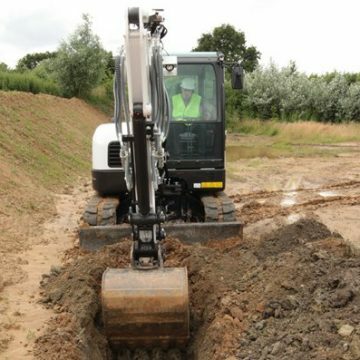 In terms of auxiliary hydraulics, both the first and second auxiliary hydraulics are standard installed on this model and are propotionally controllable in two directions by the joysticks. 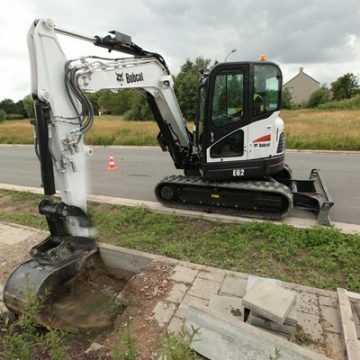 The flow of the auxiliary hydraulics is adjustable in order to operate any kind of attachment. The travel motors are standard equipped with the auto-shift feature to enhance the maneuverability of the model especially for turning and levelling activities, since it automatically shifts down during heavy loads. The engine automatically idles the engine when functions are not used and for four seconds and returns to normal operating throttle when operation resumes, which improves the fuel efficiency. The integrated refueling pump will support the operator to fillup the fuel tank by pumping fuel from any reservoir.